Quick Installation: 2-minute application time or less. Multiple-Use Can: Creates numerous seals in all types of ducts. Removable: Product can easily be removed to replace cable. 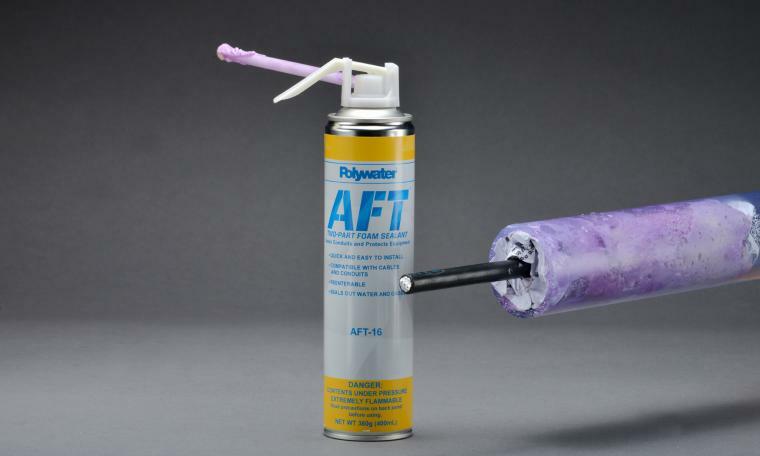 AFT™ closed-cell sealant provides 10 feet of water-blocking performance in electrical and telecommunication environments. The two-part, closed-cell AFT Sealant is durable and easy to install. AFT has excellent adhesion to a variety of conduits. AFT seals conduit with quicker installation and higher-performance compared to duct putty or single-part insulating hardware store foams. 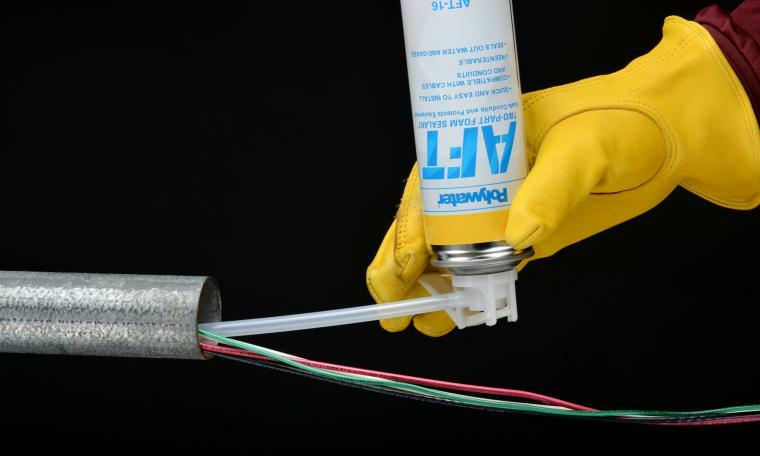 The two-part aerosol foam seals any size void and cures without exposure to air. AFT can be used to seal service entrances, conduit stub-ups, innerducts, inverters and combiners for solar installations and riser poles for the electrical grid. The AFT package is reusable, and the fire retardant seal is self-extinguishing. AFT is UL recognized and passed UL94 with a Class HBF fire retardant rating. Shake can for 60 seconds to mix. Lift hinge and insert dispensing nozzle into top orifices so that the arrow lines up with the dispensing nozzle. Invert aerosol can. Insert nozzle all the way into the seal space and fully squeeze the hinge to spray sealant into the conduit.